Be a part of a dedicated media production zone in Dubai through International Media Production Zone Business Set up! Dubai Business Services helps local and foreign businesses in UAE for International Media Production Zone Business set up and leverages the dedicated media production zone in Dubai. The International Media Production Zone in Dubai meets the special needs of global and regional media production industry. This business parks serves as a rising hub for companies involved in media production, graphic art, publication and packaging and printing. International Media Production Zone business set up is made easier, smoother and faster by an expert team of Dubai Business Services. Our professional experts and legal consultants carry out all the formalities on your behalf for your International Media Production Zone business set up. Our team ensures reliable outcomes in the shortest span of time without any delay and hassles. What International Media Production Zone Business Set up has to offer? Dubai International Media Production Zone (IMPZ) creates and fosters the special cluster environment for media production businesses across the industry value chain, and from all across the world, in order to facilitate them to interact and collaborate. Being a master developer, this zone will offer a growth oriented environment by offering key facilities, infrastructure and unique free zone setting that integrates industrial, residential, commercial and community service projects. Spread over 43 million sq. 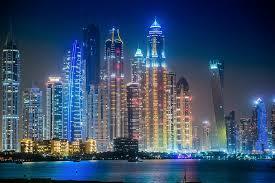 feet of area, the IMPZ is the part of Dubai’s vision to make it a global media hub. International Media Production Zone business set up leads businesses to pro-business environment, high-tech community infrastructure and a support to expand media production. Whether you want to form free zone limited liability company, or branch of a Foreign/UAE business or to have a freelance permit, the expert and trustworthy International Media Production zone business set up services by us are available. Call Dubai Business Services to set an instant appointment.